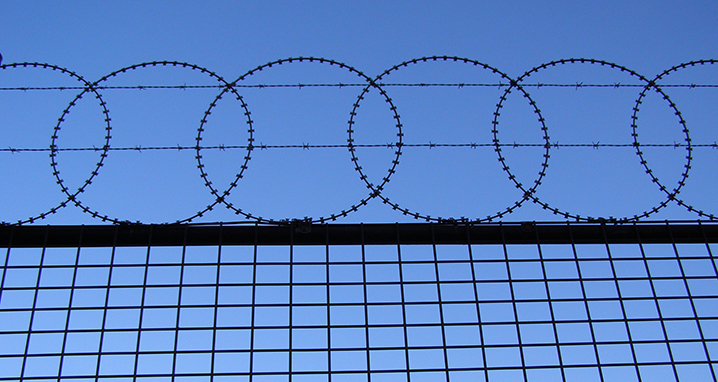 Constructive culture in a correctional setting? You betcha! Create sustainable, high-performance cultures and impact the world. 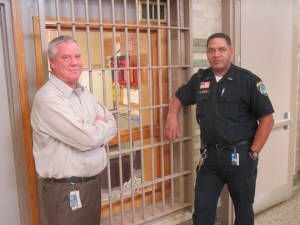 The story of Adult Corrections Facility (ACF) Superintendent Sean Chapman and Senior Correctional Officer Curtis Travis demonstrates exactly what we mean. 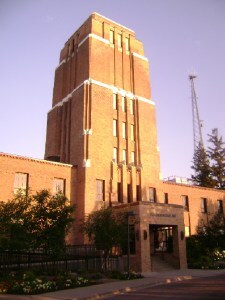 The ACF is a medium-security facility in Hennepin County, Minnesota, with an average population of 400 male and female residents on any given day. The original building was modeled after Alcatraz, which was considered a “best practice” years ago. At AFC, the incarcerated are called residents, not inmates. They are also addressed as Mr. or Ms. and their last names. That establishes mutual respect, which is foundational to safety and reminds everyone that their job is to help residents become future good neighbors. An incident in the fall of 2015 exemplifies the power of constructive cultural norms at the ACF. A resident had stopped eating and taking his medication and started acting out. One might think there is an easy solution to this behavior: just throw him in the segregation unit and let him cool off. That is one option, but there are other, more effective solutions, such as taking the time to listen to him. Travis pulled the resident aside and asked him to explain what accounted for his behavior. He ascertained that the resident had refused his medication and breakfast that morning. These decisions stemmed from the unsuccessful attempt of his pregnant girlfriend to visit him the day before; he was concerned that the experience caused his girlfriend undue stress and could negatively affect her pregnancy. In addition, he was under the impression that she was unable to visit because someone at the ACF had made a mistake. However, the real reason for her not being able to visit was that the facility did not receive the paperwork in time to process a visit. To help reduce the resident’s agitated state, Travis brought him to the ACF guard station and stepped away for a moment to collect the resident’s medication and a bologna sandwich from the cafeteria. As the resident was finishing his meal, Superintendent Chapman just happened to walk by on his way to a meeting. Travis immediately pulled him aside and shared the details of the situation. Chapman could have taken a disciplinary approach to the situation by simply telling the resident to stop acting out or else. He could have immediately sent him to segregation without a word. Chapman, however, did neither of those things. He knew about the paperwork issue and explained it to the resident. He also talked to the resident about his response to the situation. Should he have stopped taking his medication? Was it is a good idea to miss breakfast? Did the correctional officers he was acting out against have anything to do with the missed visit? Both Chapman and Travis were empathetic to the resident’s situation. They were neither condescending nor dismissive of his concerns. They wanted to help the resident for his own sake and the well-being of the facility. By now the resident was almost crying, because he was so concerned about the welfare of his girlfriend. “She is the reason I am turning my life around,” he bellowed. Showing this type of emotion can be problematic in a correctional setting, so Chapman and Travis brought him into the guard station and let him call his girlfriend in private. They also worked out the logistics so she could visit that evening. Chapman and Travis were faced with different problems throughout the situation and could have made different choices. Some of these choices might have made the problem go away quicker or been less accommodating to the resident, but they did not pursue those avenues. Knowingly or not, both addressed the situation with a humanistic and constructive approach.5 They were able to work with the resident to determine a better alternative to refusing medication and food, while simultaneously validating his concerns and helping him to see the bigger picture for himself. The ACF’s statistics and results bear this out. The ACF starts a new cognitive skills class for residents each month. The facility has 21 staff members trained in facilitating the cognitive skills curriculum, which includes six probation officers, eight correctional officers, three managers, one supervisor, one senior correctional officer, one office specialist, and one chemical health counselor. The facility averages 6,000 classroom hours of “Thinking for Change” and “Beyond Trauma” classes a year. In the first four months of this year alone, the facility graduated 125 “Thinking for Change” and 41 “Beyond Trauma” participants. 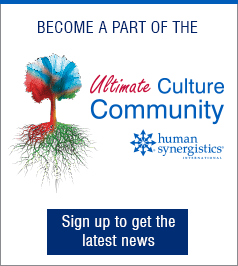 Constructive culture in a correctional facility? You betcha! We welcome your questions and comments on LinkedIn and Twitter. Cathy Perme is an organizational development consultant who worked with the ACF as a client for almost two years, assisting them in their culture change efforts. As a contributor to this blogpost, she witnessed this story first hand. 1 Cooke, R. A. and Lafferty, J.C. (1987). Organizational Culture Inventory. Plymouth MI: Human Synergistics. 3 Corcoran, R. (Corrections Today, April 2005). NIC Update: Changing Prison Culture. Neil Ruhland is the communications coordinator for the Hennepin County Department of Community Corrections and Rehabilitation. He has previously worked as a communications professional for both the Special Inspector General for the Troubled Asset Relief Program (SIGTAP) and the Office of United States Senator Charles Grassley.